We get it, social media strategy can sound intimidating, but it doesn’t have to be. Social media is an important component of event marketing, and a plan is necessary for staying on track. A solid strategy is the key for effective communication, measuring ROI, and much more. With that in mind, building a social media strategy for events isn’t something that should be overlooked. Among other social media mistakes event planners should avoid, going without a strategy is the biggest faux pas to steer away from! If you’re building a plan from scratch, here are the basics to help you get started. Outlining your goals is the first step to building a social media strategy for events as it helps you measure success and ROI. Think about the purpose of your social media usage, and what you’d like to accomplish. In regards to events and promotion, there could be a number of goals you have. However, one of the biggest is quite simple: promoting an event and increasing RSVPs and ticket sales. Boosting engagement on social media before, during, and after the event is another example of a goal. Quick tip: your goals for your social media event marketing should also be tied back to your overall goals for your event and business. Another rule-of-thumb is to ensure your objectives relate back to your goals. If your goal is to increase attendee engagement during an event, one of your objectives could be to increase it by 10% during this year’s event in comparison to the year previous. Once you’ve identified your goals and objectives, creating your strategy is easy. Your strategy is the process by which, or how, you will attain your desired results. When it comes to promoting an event, your strategy is already mapped out for you. Simply put, you’ll be using social media as an outlet to drive ticket sales and RSVPs, or boost awareness of your event. Now that you’ve created your goals and objectives, and outlined your strategy, it’s time for the fun part! You can now get down to the nitty gritty by thinking about the various tactics you’d like to use to execute your plan and achieve your goals. Let’s go back to our example of increasing attendee engagement during an event by 10% more than the year previous. To achieve this objective, one of your tactics could be to use a photo booth that allows guests to instantly share their pictures on social media. 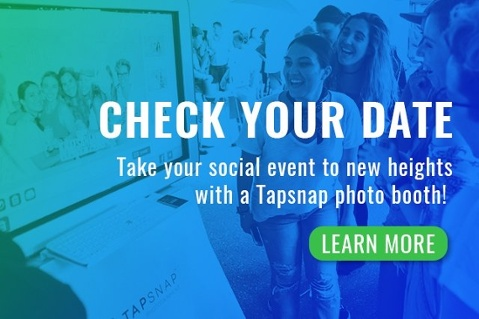 Along with the photo booth, another tactic would be to use live casting technology such as SnapCast to project pictures shared to social media with a specific hashtag on the big screen at the event. A third example is to run a social media contest to increase participation online as well. All three of these tactics provide entertainment and incentive for online engagement. If you’re promoting an event on social media, your tactics could involve using native social media advertising to target your audience, or work with influencers to help with event promotion. Be sure to follow these other tips for promoting events on social media. As an event entertainment company which focuses on social media event marketing, we can’t stress enough on the importance of a solid strategy for your social media efforts. While this is just a crash course on setting up your strategy, it will help you get more organized in the long run. This goes without saying, but defining your audience is a key step in creating your social media event marketing plan. Focus on delivering value to them by clearly outlining a content strategy. Don’t forget to factor in how social media will be used before, during, and after the event as well. It’s also important to tailor your strategy to the networks you’ll be using. 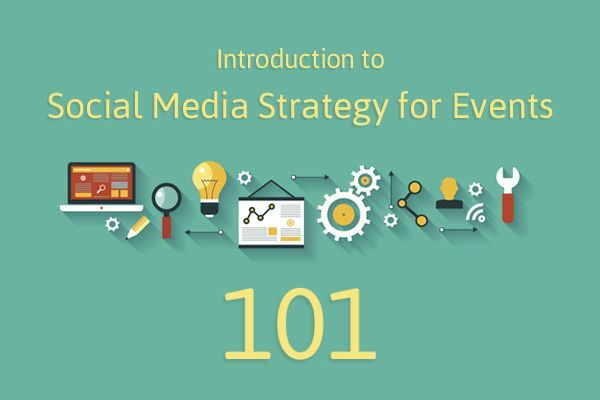 Remember, social media strategy for events doesn’t need to be too long, but the more specific, the better!